Many years ago, when I first started using natural remedies, I learned of the work of Dr. Walter Blumer. He lived in a small Swiss city that sat right on a major highway. Back then, gasoline still contained lead, so the highway exposed the town’s residents to a significant amount of lead exhaust. Dr. Blumer noticed the cancer rate for the town was higher than average. He wanted to see if there was a connection to the lead exhaust and if chelation therapy could prevent it. So Dr. Blumer treated 59 patients with EDTA chelation therapy for 18 years. Only one of the 59 (1.7%) treated subjects died of cancer. An amazingly low number! During the same time frame, 30 of 172 (17.6%) nontreated controls died. This difference was highly significant. He also noted that it also reduced the death rate from vascular disease. Chelation doctors around the world hailed his work. But conventional doctors ridiculed him. Fortunately, new research vindicates the work of this observant man. Researchers recently used extremely high-tech scientific equipment in a study on cancer. They found a highly significant accumulation of iron, nickel, chromium, and zinc in breast cancer biopsies. While these minerals are necessary for life, too much can cause toxicity. Additionally, cancer cells have very high levels of cadmium, mercury, and lead compared to normal cells. Cadmium, lead, and mercury are extremely toxic. All of these metals can generate free radicals. The results can be oxidation of critical lipids, DNA strand breaks, and tumor growth. The scientists didn’t prove that accumulation of these minerals is a cause of cancer. They could be an effect. However, their presence in a lethal disease clearly confirms the findings of Dr. Blumer and chelating physicians. They have bravely offered chelation therapy facing sometimes blistering opposition. While these researchers conducted this study on breast cancer tumors, it applies to prostate cancer and other cancers as well. Men should know that the prostate accumulates cadmium. Iron is present in almost all cancers. There’s no doubt that all of us have accumulated toxic levels of heavy metals simply by living in the modern era. I believe that everyone should be on some type of chelation therapy, whether oral, IV or rectal. 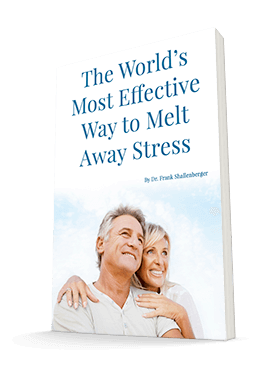 I’ve recently told you about an outstanding new rectal chelation therapy you can do in your own home. Ref: Neuroendocrinol Lett Vol 27 Supplement 1, 2006.